Oh I love this!!! Mashallah, what a great smile... and great choice of whites/blacks/greys. I love this look. Beautiful! this blog is THE coool! black and white colors are nice combination. 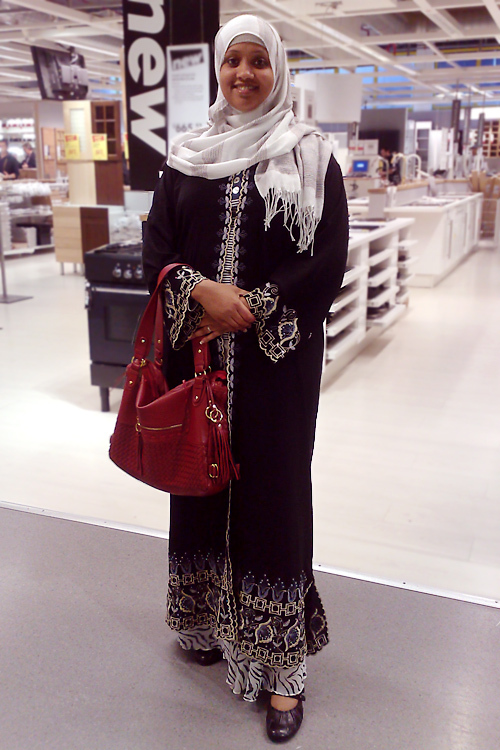 The abaya is so gorgeous. the design on it is so pretty. plus the addition of the purse looks classy.